Prague (VNA) – In the context that the European Union – Vietnam Free Trade Area (EVFTA) is going to be finalized soon, the coming visit to the Czech Republic by Prime Minister Nguyen Xuan Phuc is of great significance in trade and business as the two sides can reach more agreements on import and export, according to a Czech official. 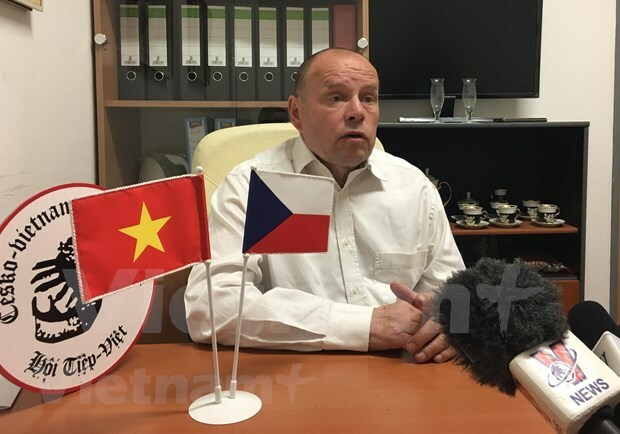 In an interview with Vietnam News Agency, President of the Czech – Vietnam Friendship Association Milos Kusy further said the public in the European country hold that the visit, to be made from April 16-14, will also help intensify mutual understanding on each side’s culture and economy. The Czech Republic is now has a big demand for labour and the visit will change conditions for Vietnamese workers to work in the republic, he highlighted. Kusy held that during the visit, the two sides may reach an agreement on the visa for Czech tourists to Vietnam and vice versa to facilitate the development of trade, economy and people-to-people exchanges between the two countries. Meanwhile, President of the Vietnamese Association in the Czech Republic Nguyen Duy Nhien said the community has a big expectation from the visit as it can help lift bilateral relations to a hew height. Members of the community are specifically interested in the economic cooperation between the two countries and call the visit a manifestation of the real sentiment from the Motherland. Nien further affirmed that the Vietnamese community in the Czech Republic always serves as a bridge in the bilateral relations, and the association has long been playing the role of a “people diplomat” in those ties.